“Constant excitement and new challenges ensure there is no better business than Real Estate” Brilliance in Balance Experience isn’t something you get overnight. It comes from working through a myriad of different situations so when the time comes for action, you can do so quickly and confidently. For Simon Hollander, experience is something he’s gained with a successful selling career before entering real estate management and ownership. Devoted to the industry since 1998, with a carefully developed progression of nous and skill, he now directs a tightly knit team of consultants, buyers agents and support staff as Holmwood’s Ilam Office Business Owner and Branch Manager. The mindset that Simon first established in a civil engineering career has been crucial to this ongoing success. Numerous clients, multi-faceted projects and careful planning were dominant factors then - and they’re vitally important now. Not one to sit still, for a decade Simon’s dedicated hobby has been to run cycling events in Canterbury. For 6 of those, he hosted the marquee event on New Zealand’s cycling calendar, the Elite National Road Championships here in Christchurch. Modern real estate also demands innovation. You need to stay on the cutting edge, constantly adapting and evolving. At times such a fast moving lifestyle can be stressful so it pays to have someone who can install a sense of lightheartedness in the office. Quite simply, Simon knows what having a laugh means for the bigger picture. He manages with a quick-to-shine smile, a timely word of advice and a no-nonsense approach. If this sounds like you, and you are looking for a change in career, give me a call to find out how we can help. Tony has been in real estate for over thirty years with the majority of those at Harcourts. Tony has received numerous sales awards with his best year in 1995 claiming Number Two nationally for Harcourts Group and Top National Auction Lister. As one of the founding partners of the Harcourts Invercargill office in 1991, Tony then opened the Gore office in 1995. 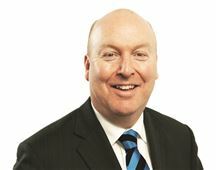 In 2009 Tony purchased the controlling share of the very successful Holmwood Group, which operates five sales offices in Christchurch and three property management businesses. Tony has been on the committee of the Real Estate Institute for twelve years serving three years as President of the Southland District. A career highlight for Tony was receiving the Best Practice Award in 2009 from Best Practice Managing director Robert Bevan for his contribution to the real estate industry. Tony's focus is always on the delivery of first class service to his company's clients and to support and grow his very loyal team. In 2015 Tony was inducted into the prestigious Harcourts Hall of Fame in recognition of his outstanding contributions to the organisation. 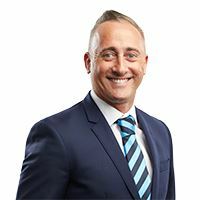 Darren Lown epitomises integrity, energy, hard work, and creative service in every detail of your real estate transation. Darren has been an investor in residential real estate and is now sharing his knowledge and experience to help you have the transaction you desire. Caring, diligent and focused, Darren respects your objectives and listens to your property “list”. He will help you through either, the buying or selling process, so you feel supported and confident at every juncture. His years in the real estate industry add value to your experience, so you can feel relaxed and comfortable every step of the way and look to him as not only your real estate professional, but a friend who generally cares about you and your family. Familiar Face - Results Speak Volumes! Whatever the change in market, my determination, perseverance, drive & success have remained unchanged. Don Yee came to New Zealand from Hong Kong in 1980 following in the footsteps of his great grand-father and is now firmly and happily settled in Christchurch with his New Zealand born wife and son. After joining Harcourts Holmwood in 1996, Don consistently achieved within the top 10% of property consultants in Canterbury based on performance and numerous times has been the No.1 Salesperson of the Year for Ilam Office. In addition, he also earned multiple sales awards within Harcourts Canterbury; No. 16, 2002-2003, No. 21, 2003-2004, No.18, 2010-2011 and No. 31, 2013-2014. No. 37, 2017-2018. His professionalism and approach-ability give clients the utmost confidence in his ability to negotiate the greatest outcome for you effectively and confidently. His fluency in Cantonese, Mandarin, Japanese and English has allowed him to establish a strong, multicultural client base and he would like to include you among them. Efficient and consistent performance means happy clients. Talk to Don now and he will sell you on the same outlook. Loves the city - Understands the Market Knows the Process - Sells the Property! - Henry Cochrane Real Estate is in my DNA Henry’s passion for property and his enthusiasm for achieving outstanding results for his clients has gained Henry an enviable reputation for satisfied clients who happily give him repeat business. Thriving in a very competitive industry has always been about meeting the needs and expectations of his clients with a level of commitment and service that goes far beyond just getting a result. His extensive knowledge of Christchurch has underpinned the successful sales and auction campaigns he has completed. No surprise then that people who want exceptional service, communication and support when they put their house on the market want to talk to Henry first! Whether you’re new to the real estate market or an experienced investor, you can only benefit from a man who combines commitment with common-sense, passion with purpose and people with partnership. Give Henry a call today and take the first step to real success. Henry will listen to what you say and does what he promises. “Passion, Energy & Determination.” - Reubyn Bisschops A Fresh Approach to Real Estate Reubyn is leading the new generation of real estate agent, with her friendly, down-to-earth, yet un-relenting and determined approach. After earning her Bachelor of Sports & Recreational Management with a Major in Marketing, Reubyn began working in numerous sporting and corporate event management roles, all whilst competing on the world stage for triathlon. Reubyn has recently taken her passion for marketing and management along with her competitive nature and motivation to succeed and successfully applied these to real estate. Reubyn strongly believes in setting a new benchmark for customer service by working hard to ensure a smooth and rewarding process for her clients. Through her own personal real estate ventures Reubyn has recognised the need for a fresh, customer-focused approach to the industry. Her down-to-earth and bubbly personality will be a welcomed change to the real estate industry. This coupled with her ‘never give up’ mind-set and desire to achieve will ensure she exceeds all your highest expectations. "A simple, enjoyable and calm road to becoming a homeowner." Listening to exactly what you want Victor Marchionna epitomises integrity, energy, hard work, and creative service in every detail of your real estate transaction. With his extensive experience in the food service industry, Victor believes buying a property is like buying a wonderful meal which leaves you feeling full and satisfied. Where the entire experience represents your decision factor, not just the process results. Victor uses his experience and foresight to proactively address details before they become a problem and prides himself in listening to exactly what you want ‘with your order.’ Victor’s business is built upon: Dedication, Communication, Determination and Trust while embodying the ability to cater and adapt to all of his client’s Real Estate needs. In his free time Victor loves to explore the great outdoors and enjoys spending time with his family and friends exploring the areas diversified cuisine. Victor’s goal is to help you have all the information you need to help you make the best-educated decision possible so that you can experience a simple, enjoyable and calm road to becoming a homeowner. 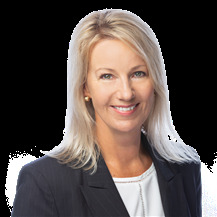 “I believe that effective communication is essential in exceeding my client’s expectations” – Tania Ikin People, Places and Property If one was to summarise the passions of Tania, then this heading would say much about her. While it would accurately reflect many aspects of her life, it would however, ignore many of the very personable and wonderful aspects of Tania that will appeal to all who work with her. Tania has an excellent eye for detail, a great work ethic and perhaps most importantly, a willingness to listen and communicate. A work career originally focused around the demanding travel industry, taught Tania many of the essential negotiating and communication skills that have marked her out as a person who can achieve where others fail. A lifetime of property ownership, renovation and investment have prepared her well to empathise and understand the fears and frustrations of others who step forward to make buying or selling property decisions. Making a decision as to who to talk to about property is never easy, but a quiet chat with her, would be an excellent start. If the focus is on achieving a great result, then Tania would be at the top of the list for many. Call Tania today. Did you ask for a sunny home? Time to Buy is Now! Ilam Road... I'll take it! If you had three wishes..
" Urgent Sale Required "
Going Going has to be gone! Check into the Best Weston! Owner Purchased - Selling Now! Why why why leave Wiremu? TC1 and Burnside High Zone!